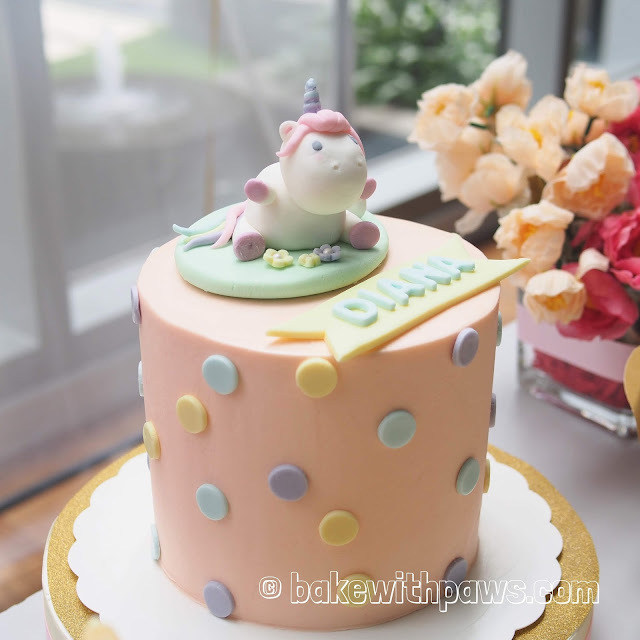 I made this Unicorn Cake few weeks ago for a good friend's baby shower. 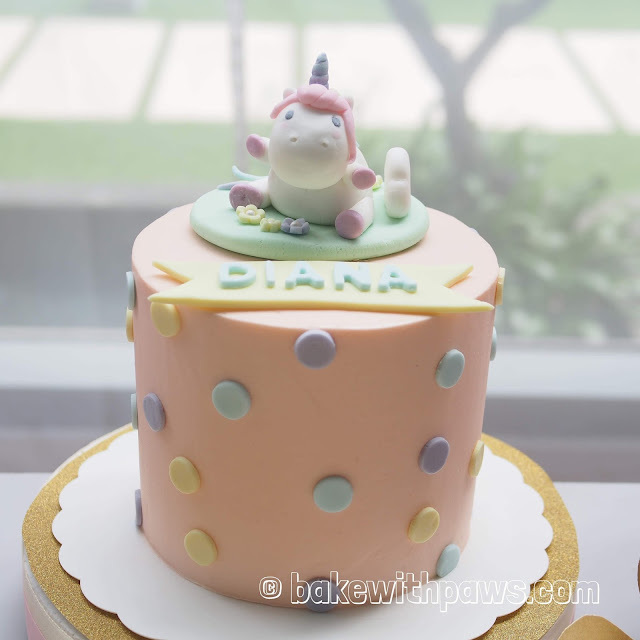 It made from 6 inches Sweet Corn Chiffon Cake with 6 layers of cake and 5 layers of buttercream. Cake is coated with Swiss Meringue Buttercream. 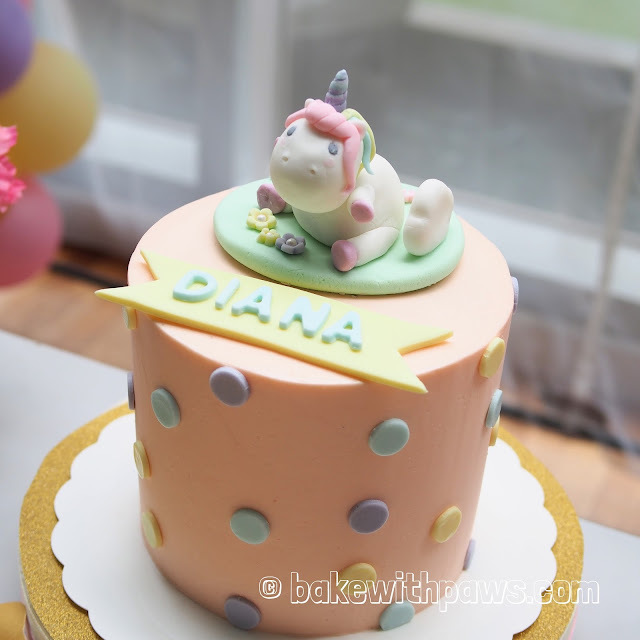 The Unicorn and decorations were made with fondant. 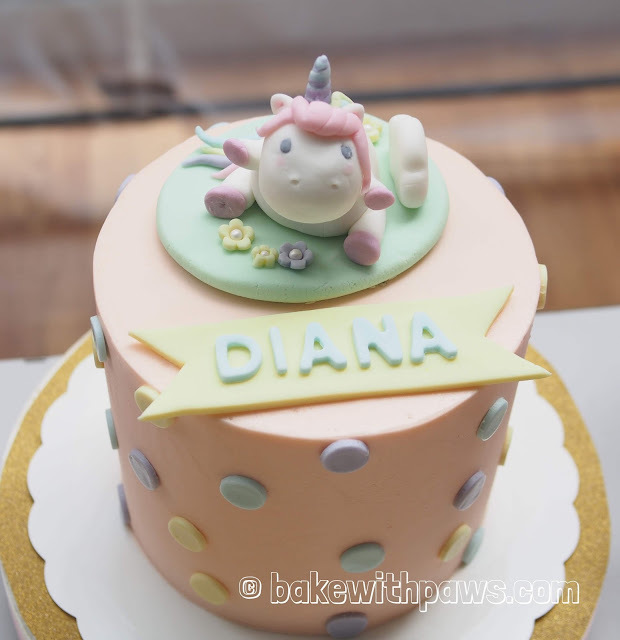 Please click here for Swiss Meringue Buttercream and below recipe for Sweet Corn Chiffon Cake. This cake needs three 6 inches round cakes. You need to multiply by 3 for 3 cakes. 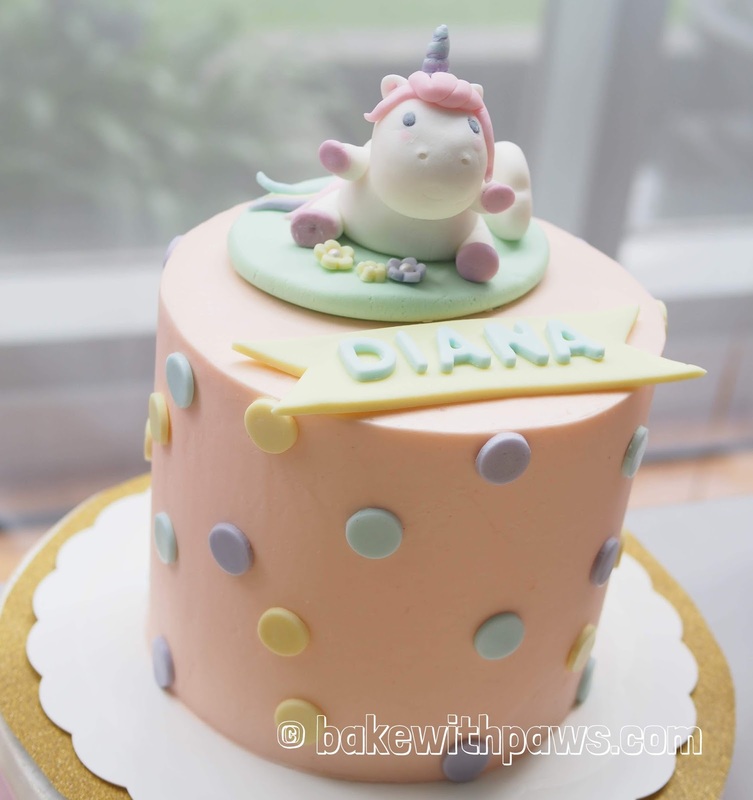 I mixed some cream sweet corn together with buttercream for the buttercream spread between the layers. Preheat oven to 160C. Line the base of cake pan with parchment paper. Whisk egg yolks, corn oil and sweet corn together until well combined with hand. Sift in the flour, baking powder and salt, mix again until well incorporated. Set aside while you prepare the meringue. Baked in water bath at 160C for 60 minutes. After 1 hour, remove the water bath and continue baking for another 10 minutes. The temperature and time duration are just as a guide. Please adjust accordingly to your oven.